Project Management Professional, better known as PMP® is a professional designation, a global certification, recognized internationally, offered by the Project Management Institute (PMI). Its respectability comes from a few factors. The PMP® certification scheme is accredited by ANSI against ISO/IEC 17024. Besides, every certification applicants or holders have a chance of randomly being selected for an audit when they submit their application or filing for professional development units (PDUs), where consequence of non compliance can be disastrous. 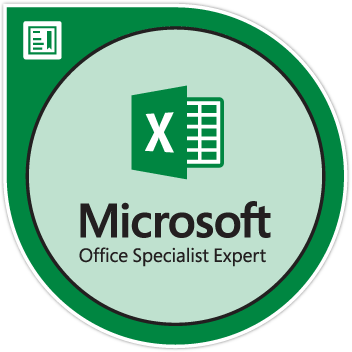 Kenneth (my colleague from another divisional plant) and I were interested in gaining this prestigious certification in aid of our career progression (hopefully). Together we have already obtained the Certified Six Sigma Green Belt (CSSGB) and Yellow Belt (CSSYB) from ASQ, kinda like my wingman for certification. It wasn't easy - we weren't project manager, but we've executed and closed some projects during our past endeavors in Cameron. As a degree holder, we're required to file 4,500 hours leading and directing projects. Moreever, 35 hours of project management education is a must before applying to sit for the PMP exam. The cumbersome part comes in when you're planning on clocking the project management hours, on top of having 36 months unique non-overlapping professional project management experience (so at the very minimum, one should have at least 3 years of working experience before even thinking about getting PMP). 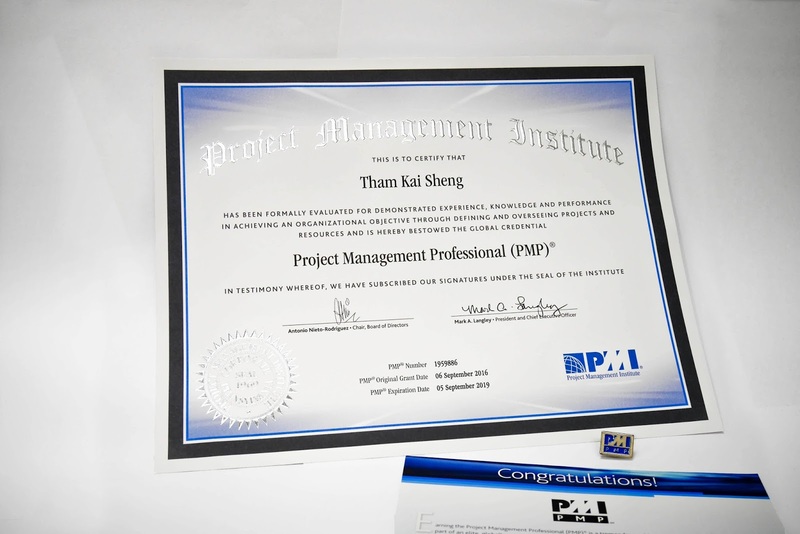 Kenneth and I were lucky enough to found a PMP course - Project Management Professional: Prep for PMP on Udemy at S$49 taught by Joseph Phillips, which you can use to file for the 35 hours project management education as they are a PMI Registered Education Provider (R.E.P. ), so never have to be worried about PMI's audit on the reputation of this course. I recommend this course if you're someone comfortable with online training, rather than spending thousand of dollars for a PMP course outside. I feel that it provides you enough information (not more) for the real PMP exam. However, besides Udemy, we actually flipped through the most famous reading material - PMP® Exam Prep by Rita Rita Mulcahy, and realized that there are much more things not covered by Joseph Phillips. And the practice questions are so much harder. As you can see, since I come from a manufacturing background, many of the projects I was involved in are more related to process improvement with lean or six sigma driven methodology. Rather than delivering the typical products or services, my deliverables are more channeled to improved and sustained processes. The one with the heaviest load is none other than the warehouse expansion project as it literally involved building a physical warehouse with installation and relocation of racks, which was also my very first Lean Six Sigma Green Belt project. One good thing about PMI's exam - you don't have to pay when you submit your online application, you only pay after you received the results of your application - either approved or rejected. And the unusual thing (to me) is that you only know if you're randomly chosen for an audit only right after your payment, NOT right after your application submission. For my case, I didn't get audited. Like the typical way of exam payment, we registered as a member at US$139 (S$192) and paid the exam fee at US$405 (S$559), and my expenditure for PMP amounted at a nice number of S$192 (membership) + S$559 (exam fee for members) + S$49 (course on Udemy) = S$800. PMP exam is delivered by Prometric testing centers, which are currently only available at NTUC LearningHub (Bras Basah) and King's Arcade (Bukit Timah) in Singapore. We went for the King's Arcade one as the NTUC LearningHub's calendar was fully booked. The testing center would prefer passport as an identification method because it is one document containing all required information including signature. You'll be asked to empty your pocket to perform a full body scan, signing in and out whenever you enter or leaving the examination room. A 4-hour 200 questions computer-based exam has never been kind - it was simply mentally exhausting to sit in front of the computer answering questions which might contain more than one correct answers (you just have to pick the best one). And you really don't want to go through so many of the questions over again, because one question appears on one page, more clicks are required when you're reviewing more questions. As such, to a certain point I really wanted to submit my exam, it was around 3+ hours spent, and my pulse was so rapid and hard that everything I feel with my body is merely my heart pumping, even when I tried to remain calm while completing the survey after the exam on the screen. And the screen loaded, and loaded, and loaded... "Congratulations! You passed......", I forgot what came next but "Congratulations!" was the only word that caught my eyes. Seriously, no idea when was the last time I felt so relieved in my life. I literally grinned and walked out of the room. 6 Sep 2016 was certainly a celebratory day. It's actually fortunate to have passed PMP now because in 2017 PMI is releasing the 6th edition of PMBOK (Project Management Body of Knowledge), which might include additional material compared to 5th edition. The next day I received an email confirming the credential bestowal and saying that the certification package will be delivered to my residential address in 6 - 8 weeks (for international shipping). Additionally I ordered the complimentary PMP lapel pin. They actually took 2 weeks to arrive though.